Reading the blurb for the CineVibe can you leave you wondering whether it’s an adult toy: it vibrates for ‘a new, exciting audio experience’ and the ‘protein cushions offer exceptional, safe comfort for prolonger sessions.’ Just to be clear then, the CineVibe is a gaming headset with rumble-feedback. The idea is that bass isn’t just something you hear - if it’s done right, it’s something you feel. Using the CineVibe for the first time is a weird experience, not least because the cans are of the small variety and fit onto your ears rather than around them. 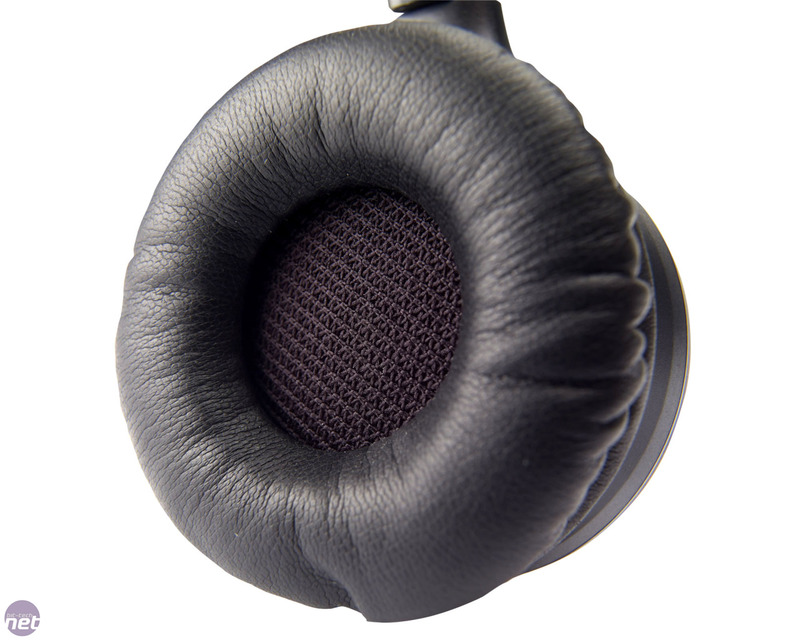 They also clamp quit tightly to your ears; although Asus says those ‘protein cushions’ are breathable, our ears became quite warm quite quickly. The CineVibe has rumble-feedback to add an extra element to your gaming. Click to enlarge. 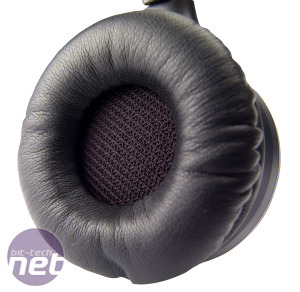 Setting up the headphones is easy though – there’s not even any need to clamber around the back of your PC, as the CineVibe connects via a standard USB port. Windows automatically detects the device and you’re ready to go in seconds. This doubles with the way that the cans can be twisted 90 degrees so that the CineVibe can be flat-packed for safe transport in a bag. Our round-the-neck testing also proved to be a comfortable, if self-conscience experience. The in-line control for the CineVibe hangs at chest level, which is ideal for not getting caught in the arm rests of chairs or knocking against your neck. 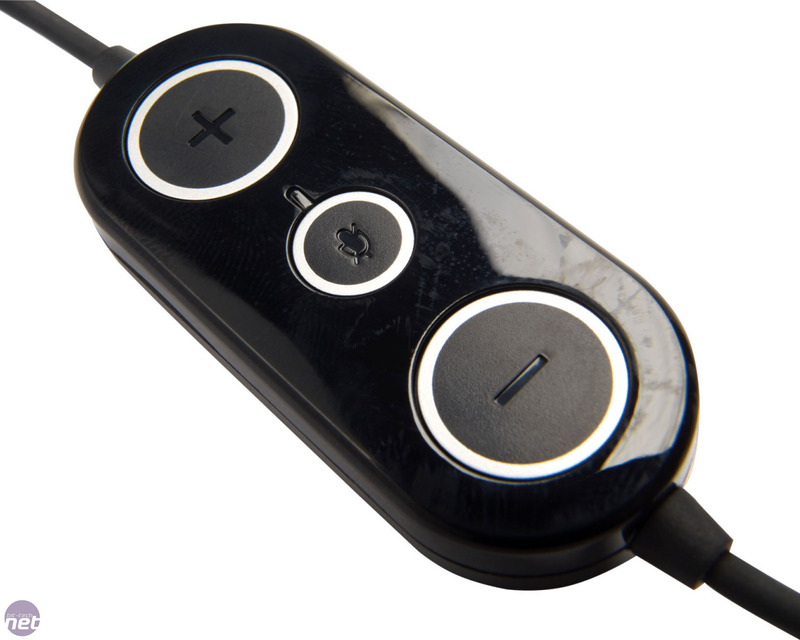 There are big, easily pressable buttons for volume up and down, a button to mute the mic and a switch on the side to turn the rumble on and off. 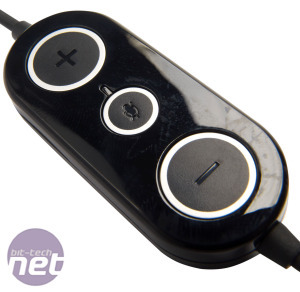 The wire is thick and velvety to the touch which should prevent tangles along its 1.5m length, 1.2m of which is between the in-line remote and the PC. The cans firmly clamp onto your ears, rather than around them. Click to enlarge. First impressions of the sound quality of the CineVibe were mostly positive – the sound is pretty clean and Asus’ claims of clear mid- and high-range held true. We could pick out a fair bit of detail in our test music, but the rumble-feedback was a bit much, as even fairly gentle Blues tracks lead to a actual, if moderate ear-bashing. We (or rather, our colleagues were pleased to hear little noise leak from the CineVibe. Turning off the rumbling changed the audio quality to be more muddy in the lower tones and not as clean. Even with the rumble on the bass isn’t as metaphorically punchy and clear as we’d like, even if it was more so literally. Gaming is where the CineVibe should shine though, so we switched the rumble-feedback back on and delved into a range of games. The rumbliness of the CineVibe was more subtle in games – while we feared that the growly engines of Dirt 2 would give us an unwanted ear massage, this wasn’t the case. Only when the fireworks went off did we find the rumble noticeable. In Crysis most of us liked the rumble that accompanied big explosions and we were glad to feel that firing our gun (whether pistols or shotgun) didn’t lead to overt rumbling. For the most part, the rumble of the CineVibe added a bit of fun to games. Setting up the microphone was a bit tricky, as we had to enter the Sound devices, then find the microphone (called a Venus HS-P10) and then increase the Level from 0. Without doing this, the microphone didn’t work, and there was nothing in the manual to help set it up either. We found the microphone to be incredibly sensitive, as it picked up even fairly quiet sounds, such as the tapping off our keyboard. At least our voice came through clearly, even if everything else we did also did too. 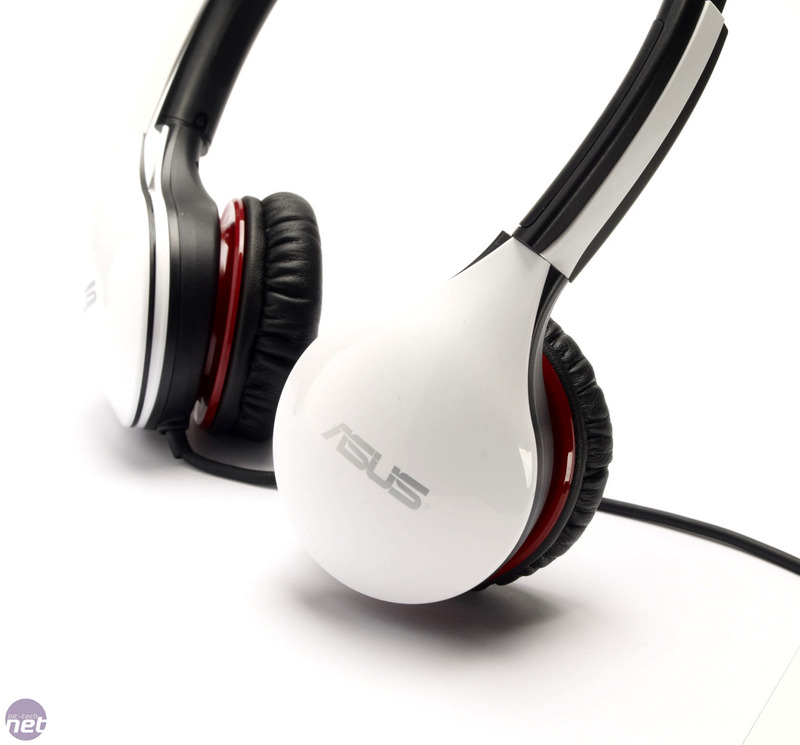 The Asus CineVibe isn’t a terrible headset, but neither is it a great one. 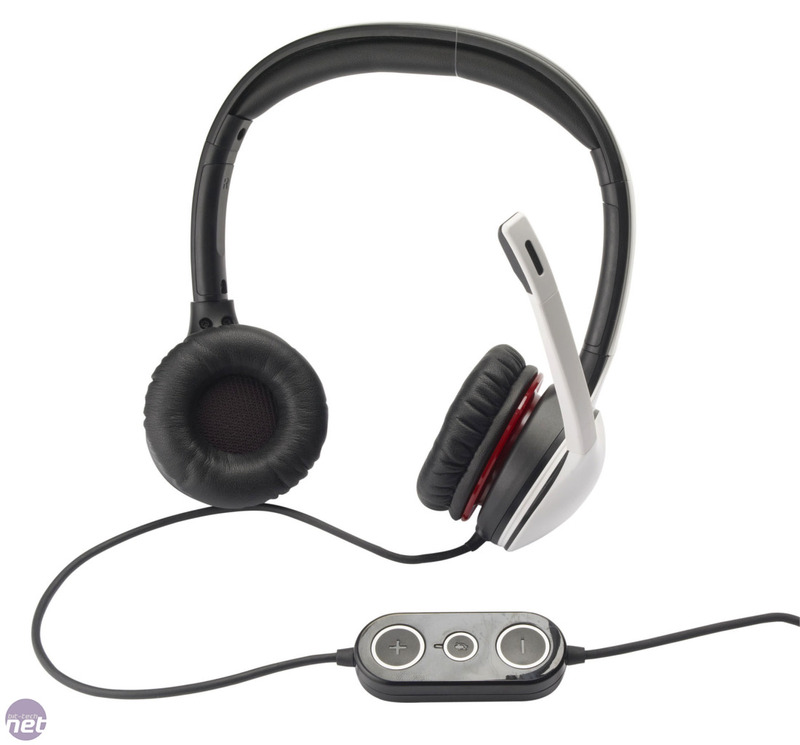 The problem is mainly to do with the small size of the earpieces and the pressure that CineVibe applies to your ears. Those of us with glasses found the CineVibe to be terribly uncomfortable while those without found the set uncomfortable after a few hours of use. The sound quality is decent though, and the vibrations added a little bit of fun to games, if not music. However, the over-sensitive microphone – which picked up even the reasonably quiet clicks of our keyboard that was 40cm or so away from the microphone. As such we’d still opt for the Creative Sound Blaster Arena, even though it is £20 more.